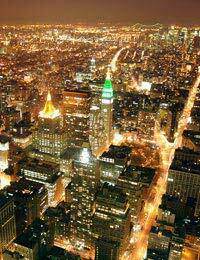 New York City is famous for being one of the world’s most cosmopolitan cities. Made of up five distinct districts – The Bronx, Brooklyn, Manhattan, Queens and Staten Island – each part of New York City has its own character and culture, yet retains a distinctive New York style.The city is well known for its liberal and tolerant attitude. Pretty much anything goes in New York, as it is home to so many diverse communities, cultures and ethnic groups. Because of this, the city’s inhabitants tend to be quite open-minded. However, there are still certain codes of conduct that one should abide when in New York. New York has a bustling and large population – therefore you will be continuously coming into contact with many different people throughout the day. New Yorkers are very expressive people, but good manners and patience will benefit you. The basics of etiquette, like opening doors for people, saying please and thank you when the opportunity presents itself, and generally being helpful towards others is always appreciated. You should never talk to anyone in a derogatory way, although speaking emotively is fairly common here. You should respect both authoritative figures and also those in customer service industries, such as hotel workers, cleaners, shop assistants and bar staff. As New York is a multicultural city, you may meet people of many different ethnic backgrounds, who speak a number of languages and may originally come from countries with many different cultures and traditions. These differences should be respected. The one universal rule of etiquette in New York is to never use offensive language, such as racist or sexist remarks. This sort of behaviour can be taken very seriously, and may have some serious consequences. Remember that in New York, men and women are very much on equal footing, and ethnicity has no bearing on someone’s social and economic advantage. Although the city can seem very crowded, you should always respect other people’s personal space. When queuing, do not push, shove, or stand looking over someone’s shoulder. Etiquette demands that men especially should give women personal space, especially when queuing or walking behind them. New Yorkers tend to meet and greet in much the same way as other Americans – handshakes between men and women are common greetings, and informalities can be established relatively quickly. You may find that some New Yorkers will introduce themselves using their first name, and will immediately begin to use your given name after greeting. You should not see this as disrespectful or bad etiquette, as it is just a means to communicate friendliness and trust. In less formal circumstances, men will greet by grasping hands and sometimes a mutual pat on the back or shoulder is then initiated. Women are often kissed on the cheek and hugged. However, if you prefer to stick to handshakes for a greeting, this will be respected and no offence will be taken. New Yorkers walk at a very fast pace and expect those around them to walk at a similar pace. If you walk more slowly stay to the side and ensure that there is room the pass you. Also, refrain from stopping or suddenly turning around as there are likely people following closely behind you. If you intend to smoke, you should always check that it is appropriate to do so. Restaurants, bars and public buildings prohibit smoking in New York. You should be aware that even if you are allowed to smoke, you might be approached and asked to stop smoking. It is considered proper etiquette to first ask those around to you whether they mind you smoking, and you should not complain if, actually, they do mind. New York is famous for being one of the style capitals of the world. Fashion and dressing well is important to many New Yorkers, and as a tourist you should consider this. It is particularly important that you are aware that some places such as restaurants have dress codes that should be followed. In most cases, when attending a special occasion such as a theatre outing, shorts, t-shirts, trainers (or ‘sneakers’), and other sports-related clothing are definitely not acceptable attire. You should also be aware that there are many religions practised in New York. If you intend to visit a church or synagogue, etiquette requires that you should always dress modestly. It is considered good etiquette to remove a hat when entering a building, and this is also applicable where churches are concerned. If you intend to visit a mosque, be aware that shoulders should be covered, shorts are definitely banned, and women should cover their heads, shoulders and legs.